I Need to Pass Emissions Testing! 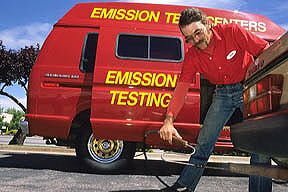 Many areas of the country do emissions testing on vehicles. It depends on where you live as to what year vehicles are still required to have emissions tests done and what the process is for it. Even if you do not live in an area that requires emissions testing, it is still is a legal requirement to have the proper emissions components on your vehicle. Besides wanting to follow the laws and not get a ticket, making sure your vehicle is not over polluting is an important part of being a responsible driver. It wasn’t until the Environmental Protection Agency, or EPA was established in 1970 that vehicle emissions laws started getting set at the federal level, but since then emissions controls have gotten more and more stick and vehicles have been forced to emit less and less pollutants. The first emissions control devices were positive crank case ventilation systems, not standard on every vehicle, but newer vehicles today have a variety of ways to reduce emissions including catalytic converters, exhaust gas recirculation systems, air pumps, and tight controls on air/fuel ratios through fuel injection with advanced sensors and computers. Hot rod builders and car enthusiasts over the years have been known to quickly remove any and all emissions components from the vehicles they build assuming they rob power, over complicate the motor or will simply break over time. This is often not true and you should take care before removing any emissions components from your vehicle. For example removing the exhaust gas recirculation system from your vehicle can cause longer warm up times under normal driving conditions increasing the amount of wear on your engine due to lower than usual temperatures. Assuming you’ve let the emissions components on your vehicle, you might wonder why you are having trouble passing the emissions test. Most of the components in your emissions system should operate for the life of your engine and rarely will need replacement except for one. The catalytic converter is one of the main ways your vehicle cleans up its emissions. Your catalytic converter is installed somewhere in your exhaust stream, usually very close to the engine. 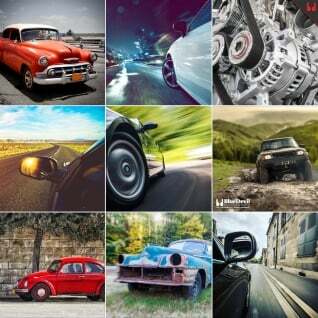 Your vehicle may even have multiple catalytic converters. 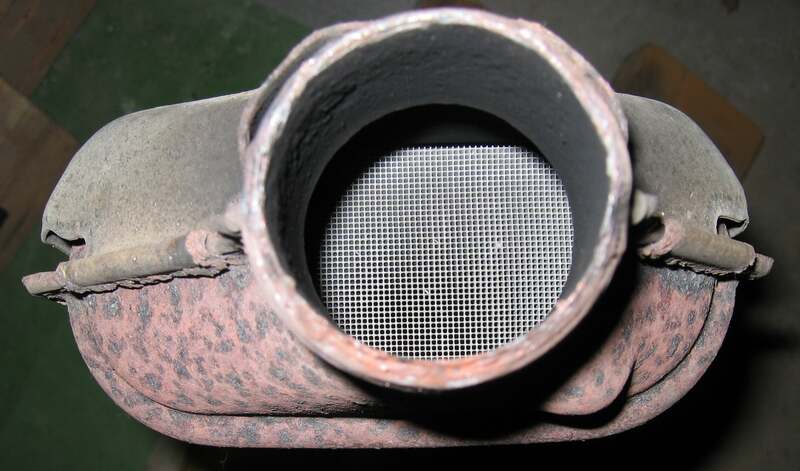 Inside the catalytic converter is a mesh or honeycomb shape that the exhaust gas has to flow over called the catalyst. The catalyst is made out of special metals that will cause a chemical reaction with the gases in your exhaust stream. This chemical reaction can remove many of the harmful chemicals that can damage our environment like hydrocarbons, carbon monoxide, carbon dioxide and mono nitrogen oxides. Over time the catalyst in your converter will get used up and convert less and less of the harmful gases in your exhaust stream into safe emissions. The other major cause of having poor vehicle emissions is due to an improperly maintained vehicle. Over time, your vehicle’s engine will become less and less efficient due to the buildup of harmful deposits in your fuel system, and inside the actual motor. These deposits are natural byproducts of driving your car, so it doesn’t mean that anything is wrong but they do need to be removed on a regular basis. If your vehicle becomes sluggish, has poor throttle response or has started to get decreased fuel mileage it is probably far past time to clean your fuel system and combustion chamber. 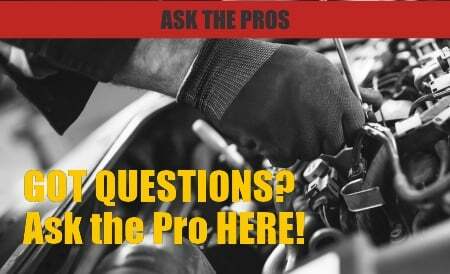 We recommend cleaning your fuel system and combustion chamber about every time you get your oil changed. The good news is the same product can provide cleaning for your vehicle’s fuel system and combustion chamber removing all the harmful deposits, restoring your vehicle to its proper running condition and allowing you to pass your emissions test. BlueDevil Fuel MD is a complete fuel system cleaner that is safe for any engine and will protect your sensors and increase the efficiency of the catalytic converter in your vehicle. Simply adding blueDevil Fuel MD into your half full fuel tank and it will remove the harmful deposits that have built up in your engine restoring it to its maximum efficiency. You can purchase BlueDevil Fuel MD online directly from BlueDevil by clicking here. Once you add the BlueDevil Fuel System Cleaner, you should drive the vehicle for 15-20 miles before refueling. Once you refill the fuel tank, you would be able to check your emissions. You can purchase the BlueDevil Fuel System Cleaner directly on our website, http://store.gobdp.com/fuel-system-cleaner-00202/. Simply add the item to your cart, complete the billing and shipping information, and the order total would be calculated at checkout. It really depends on what is causing the check engine light. If the light is associated with the fuel system being dirty then BlueDevil Fuel MD may clear the engine light. Your best bet may to have the code checked with a code reader so that you know exactly what may be causing the fault code.